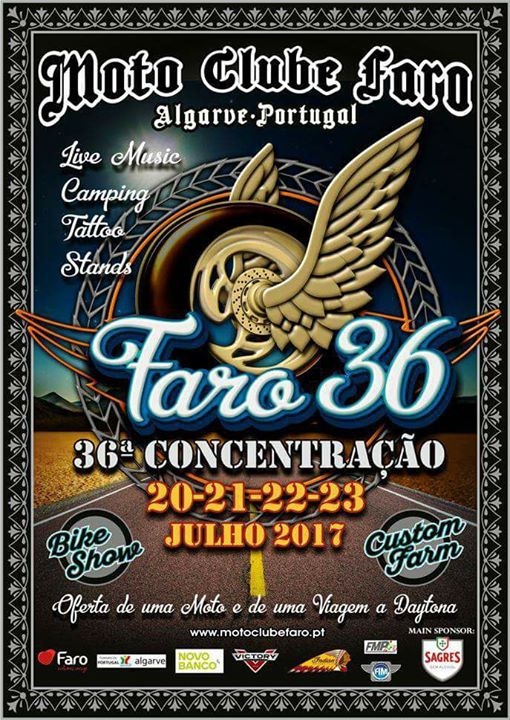 Get revved up for this annual gathering, which has become Europe's 'Biker Mecca' and promises a fantastic atmosphere in the Algarve sunshine. It costs just €45 for the full four-day event, for which you get the official bag, which contains a T-shirt, rally badge, sticker, coupons for free meals, coupons to give you the opportunity of entering the draw for both a brand new motorcycle and a free week in Daytona. Free trips on a special bus, rented by the club, which runs from 11am Thursday to 8am Sunday to take people into Faro and back to see the city. You can sign in at the gate from 20th July. This year you can also sign up from Saturday noon (12:00) for €30 - meals and draws not included.